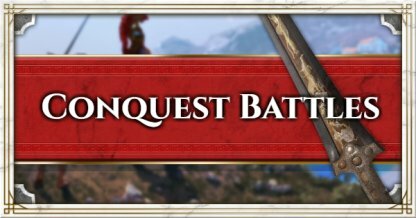 Bring down an entire army by yourself by participating in Conquest Battles! This guide includes everything you need to know about conquests, & tips on how to win them! There will be resources in forts that you can burn with your torch. Burning them will effectively lower the power of the Leader in the area. Each fort will have at least a Captain in them. 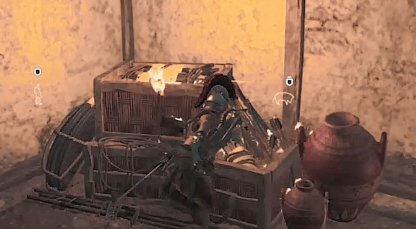 Kill them and the other troops in the Fort to lower the Leader's power even further. 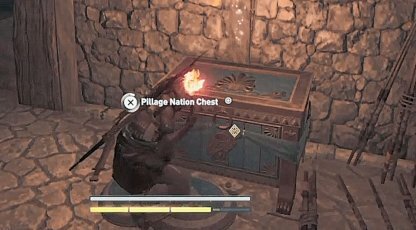 Pillaging Nation Chests will lower the Nation's Power significantly and you get awesome loot to boot! Once you've lowered the Nation Power enough, the Nation Leader will be vulnerable to attack. They'll be isolated with only a couple of guards so it's easier to bring them down. 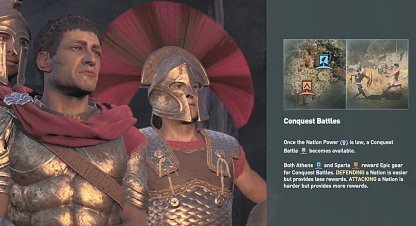 You can locate the Leaders/Commanders in the map. Talk to them and pledge your sword to their side to start the Conquest Battle to the opposing side. 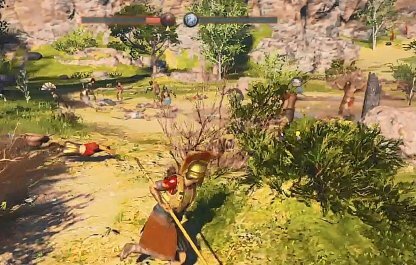 During the story mission, your character will support the Spartans to take down the Athenian army in the area. 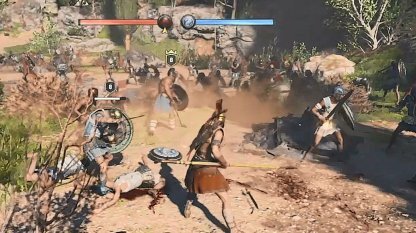 After this battle, it will unlock Conquest Battles objectives that you can do at any time. The only way you can win the battle is to get the opposing side's army size to 0. 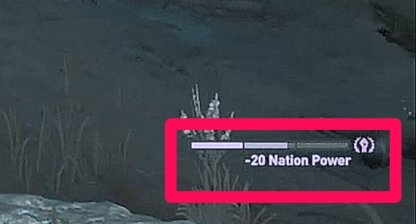 Once you get it to 0, all remaining enemies will flee and the battle will end. Don't bother with the henchmen at the start of the battle and head to battle the Captain first. Taking him down will effectively lower the enemy army's strength and will make the battle easier from there. 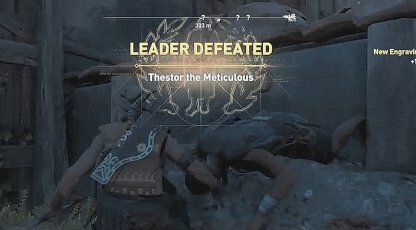 Take down as much enemies as possible before they take down your allies. 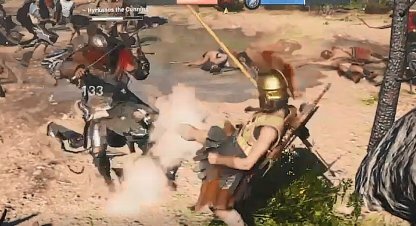 Use your abilities liberally throughout the battle to do as much damage as possible to the opposing army. 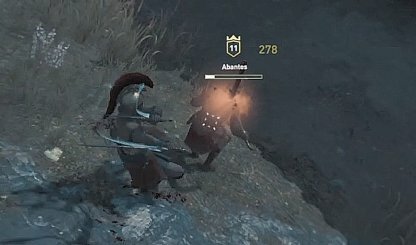 Abilities that can hit lots of enemies at once like the Charge Heavy Attack and the Ring of Chaos will perform greatly in Conquest Battles since there are a lot of enemies around you! 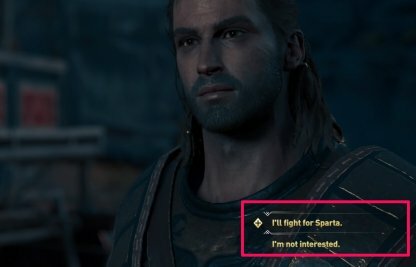 Work as a mercenary and side with either the Spartans or Athenians to establish dominance in certain regions. 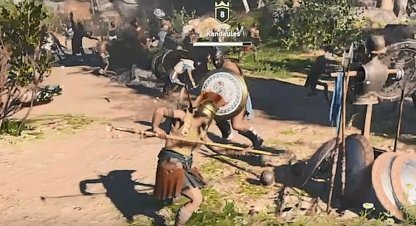 Weaken enemy Leader's power and wipe out their army in Conquest Battles. 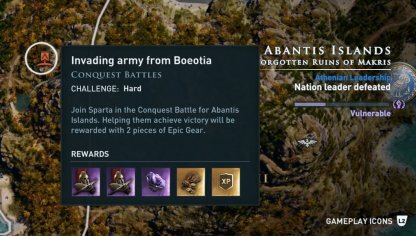 Siding with the Attacking side whether it's Athenian or Spartan will give you some epic loot as reward for winning Conquest Battles. 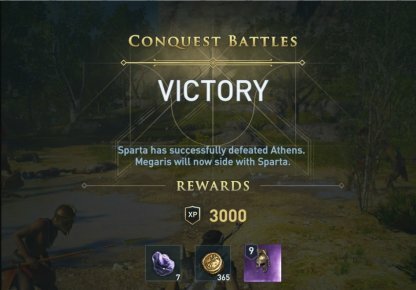 A huge amount of XP will also be given to you for your victory. The Attacking side will always have more of a challenge compared to the Defending side. The challenge is worth it though for the good loot you get for winning Attacking Conquests.